There is no way we can accomplish the work God has given us to do without prayer! We are looking for people who would commit to praying for Streams team, staff, and teachers regularly. 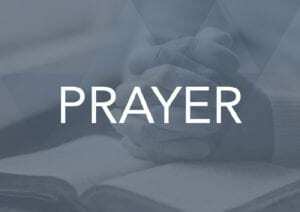 When you sign up for our prayer updates you will start receiving regular e-mails with short update, news, prayer requests, and upcoming events. Streams Ministries follows the voice of God. We regularly ask our prayer partners to let us know if they receive dreams, visions, or other revelations for us. Even if you don’t know what they mean, it could unlock the next door we are suppose to walk through. Reply to any of our prayer updates with the ways God has been leading you to pray for Streams.